Ellen Apperson Brown, who moved to Roanoke just one year ago, recently offered to take over as editor of the Court Reporter, and seems eager to help us uncover stories about our neighbors and stir up interest in the latest happenings. With her broad liberal arts education ( three masters degrees), experience as director of museums and non-profit organizations, and her passion for teaching history to anyone she meets, Ellen is pleased to try her hand at this editing assignment. While not exactly an expert in Roanoke history, she does have a book to her credit, a history of the Kiwanis Club of Roanoke (published January, 2010). She and her dog, Roscoe (looks like a friendly black wolf), are familiar sights to everyone who lives near the Co-op, the restaurants, and the Seven-Eleven, as they make the rounds there several times each day. 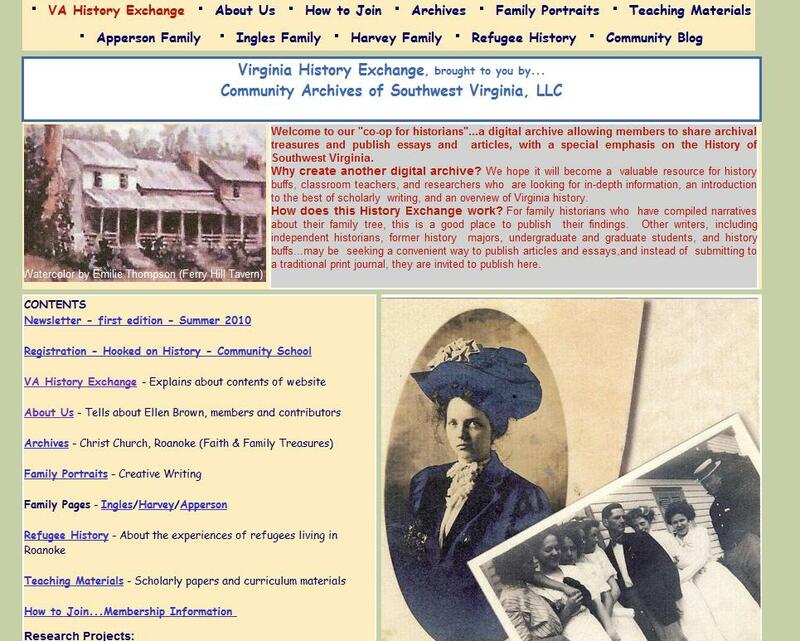 Having lived on Maiden Lane with her family years ago (1992-1995), Ellen is delighted to have landed back in this neighborhood, and hopes this will be a good location from which to launch her business, Community Archives of Southwest Virginia, LLC, and develop her innovative website, a digital archive (www.vahistoryexchange.com). She has started offering workshops throughout the region, teaching the rudiments of Virginia history and encouraging folks to learn from their “treasures in the attic.” Her latest course idea: Virginia History for Yankees and Other Outsiders, and her tag line…Learning History can be Meaningful, Practical, and Fun! Please let her know if you have ideas for articles, or if you know of people with interesting stories to tell! This entry was posted on Friday, October 8th, 2010 at 6:09 pm and is filed under Uncategorized. You can follow any responses to this entry through the RSS 2.0 feed. You can leave a response, or trackback from your own site.